For more recent info on NVLink, check out the post, “How NVLink Will Enable Faster, Easier Multi-GPU Computing”. NVIDIA GPU accelerators have emerged in High-Performance Computing as an energy-efficient way to provide significant compute capability. The Green500 supercomputer list makes this clear: the top 10 supercomputers on the list feature NVIDIA GPUs. 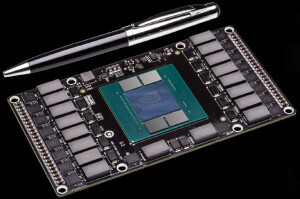 Today at the 2014 GPU Technology Conference, NVIDIA announced a new interconnect called NVLink which enables the next step in harnessing the full potential of the accelerator, and the Pascal GPU architecture with stacked memory, slated for 2016.